Docket Alarm takes your privacy seriously and is committed to keeping your personal information private. If you see a case on Docket Alarm that you would like suppressed from search engine results, please go to our search suppression page here. All litigation-related activity involves sensitive information, including viewing potentially adverse litigant activity. We keep your private information safe and do not sell such information to third-party marketers. Log information - When you access Docket Alarm our servers automatically record certain information. These server logs may include information such as your web request, your interaction with a service, Internet Protocol address, browser type, browser language, the date and time of your request and one or more cookies that may uniquely identify your browser or your account. User communications - When you send email or other communications to us, we may retain those communications in order to process your inquiries, respond to your requests and improve our services. Search Engine & Ad Tracking - When you visit our site through a search engine or web-advertisement we collect information that you use to reach our site and correlate that information to how you use that site. This information is only used to better tailor our ads and evaluate their performance. If we use this information in a manner different than the purpose for which it was collected, then we will ask for your consent prior to such use. If Docket Alarm merges or is bought by another company, then we reserve the right to transfer account information over to the new company. Docket Alarm uses a payment processor that is PCI-certified, the most stringent level of certification available. Docket Alarm never transmits your payment details in plain-text, everything is encrypted with AES-256. 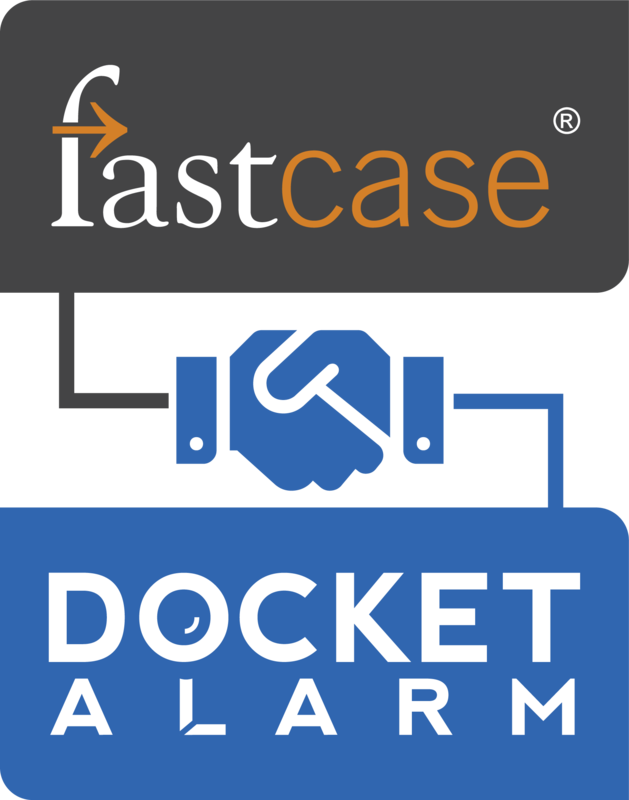 No Docket Alarm employee has access to your payment information. Docket Alarm hosts a variety of documents. Additionally, Docket Alarm allows search engines to index its site, which may result in these documents appearing in search results. If you would like a document removed from Docket Alarm because you believe it impacts your privacy or your infringes your copyright, please use our search engine removal form here. If you have a question or comment, please email us or call us at (866)773-2782.